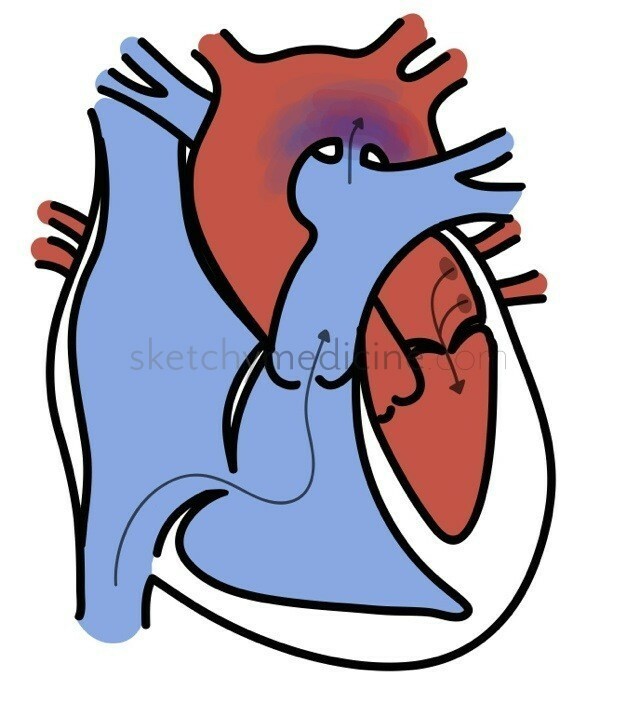 The ductus arteriosus is a connection between the aorta and pulmonary artery present in the fetal circulation. 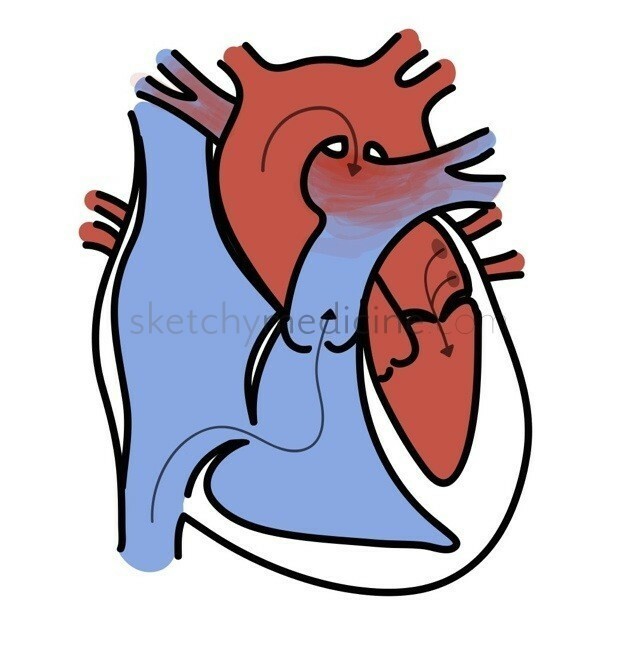 Since the pulmonary vascular pressure is higher than the systemic pressure, blood is shunted through the ductus from the right to the left, bypassing the lungs. When the baby is born, the resistance in the pulmonary vascular falls and more of the blood goes through the lungs. In conjunction with this the fall in the level of circulating prostaglandins causes the contraction of the ductus arteriosus. In some babies, particularly those born prematurely, the ductus fails to close and the shunt becomes left to right. 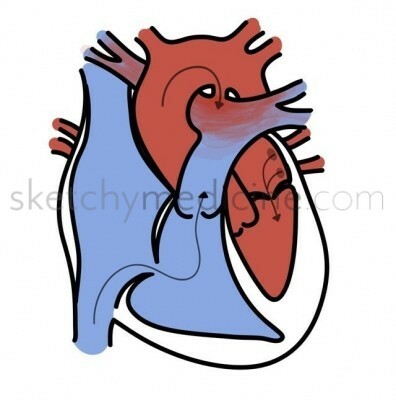 This entry was posted in Cardio, Peds and tagged congenital, heart defect, Murmurs by Ali. Bookmark the permalink.